Today I want to show you the card that I made for the current challenge at Copic Spain with the theme Spring. I meant to make CAS with a colourful flowery background but didn't started Spring with the best mood here, and that was what came out. I'm quite happy with the result however. 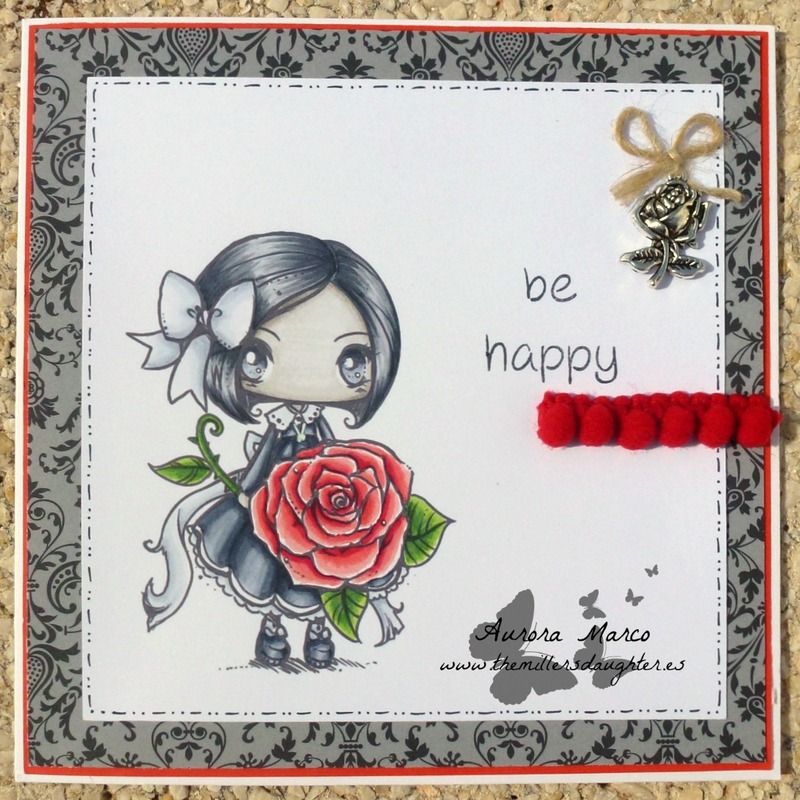 Digital stamp, My Sweet Rose by Star Stampz. I love how thw color of the rose stands out. Thanks so much for playing along with us at Inspiration Destination this week. Hey Aurora!! Very pretty coloring. Nicely done. Thanks for playing along with us this week at CASology. Great card! Love the CAS look and you done a wonderful colouring job! Wow, how wonderful it is. I love the red flower. I like everythink. Thanks for sharing with us st Artbymiran challenge. Good luck.